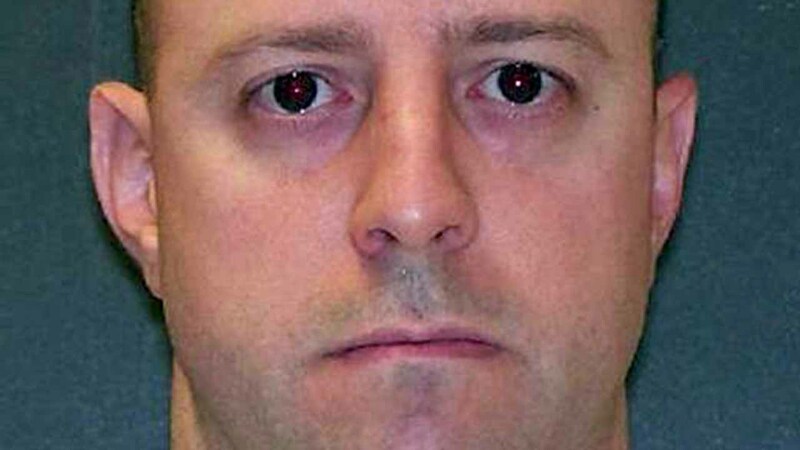 HUNTSVILLE, TX -- A Texas man was executed Wednesday evening for fatally shooting a game warden nine years ago during a shootout after a 90-minute chase that began when he was suspected of poaching. James Freeman, 35, was asked by the warden if he had a final statement. "No, I do not," he replied. The lethal injection was the second in as many weeks in Texas, which carries out capital punishment more than any other state. The U.S. Supreme Court declined to review his case earlier this month, and no new appeals were filed the courts to try to block the punishment. Freeman was suspected of illegally hunting at night in Southeast Texas' Wharton County when a game warden spotted him. Freeman sped away, leading authorities on a chase that reached 130 mph. It ended near a cemetery near his home in Lissie with Freeman stepping out of his pickup truck and shooting at officers. When the March 17, 2007, shootout was over, Freeman had been shot four times and Justin Hurst, a Texas Parks and Wildlife game warden who had joined in the pursuit, was fatally wounded. It was Hurst's 34th birthday. About 100 law enforcement officers, many of them Texas game wardens, stood outside the Huntsville prison, during the execution. Freeman's appeals lawyer, Don Vernay, said Freeman's lack of a previous criminal record should have influenced jurors he didn't deserve the death penalty, which in Texas requires a jury to find a capital murder offender would be a continuing threat. "He never did anything wrong in his life other than a DUI. This kid was not a future danger, he was just a loser. ... He got drunk and got in a shooting," the lawyer said. A psychologist testifying at trial said Freeman told him he drank about nine beers while watching a football game on TV at his home and then decided to drive around and shoot snakes and birds that night - something he enjoyed doing. Freeman's trial lawyer, Stanley Schneider, said heavy alcohol use and severe depression led the unemployed welder to try to commit "suicide by cop" in his confrontation with officers. "It was totally senseless," Schneider said of the fatal shooting. "It really is very sad that it happened, that two families are suffering like this."